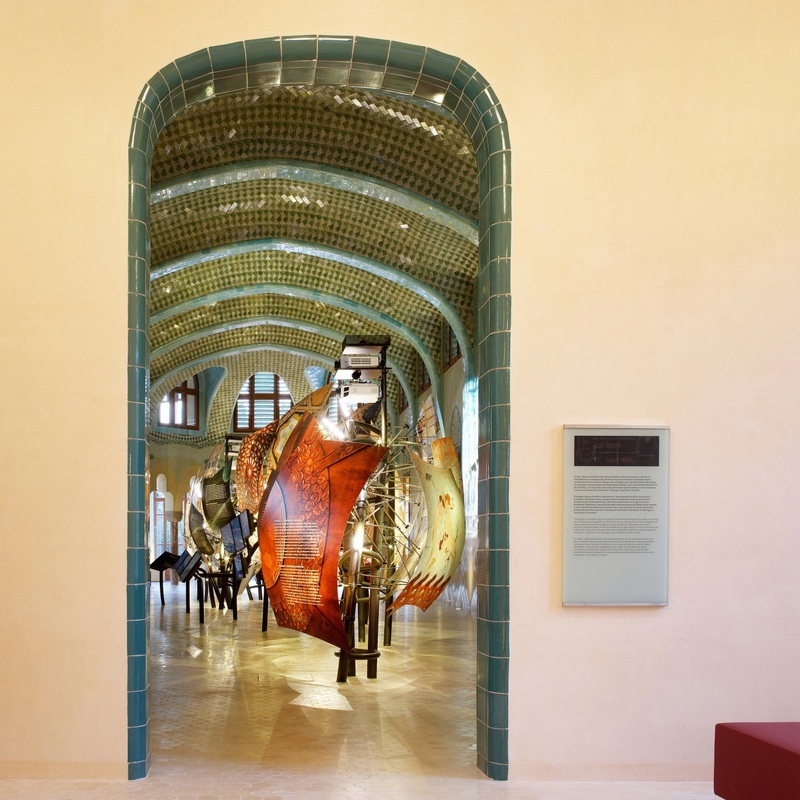 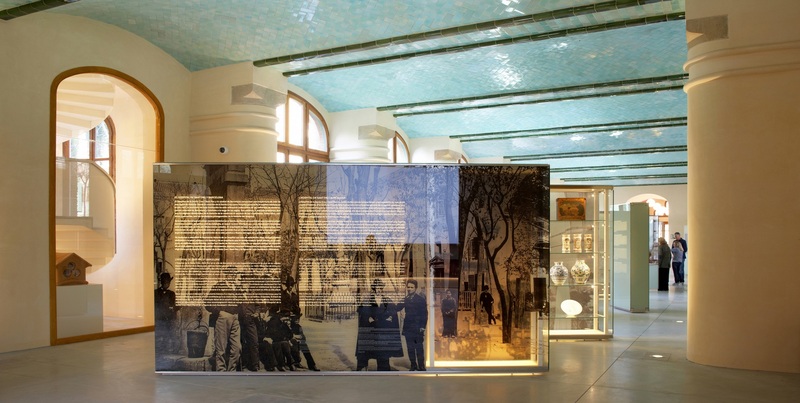 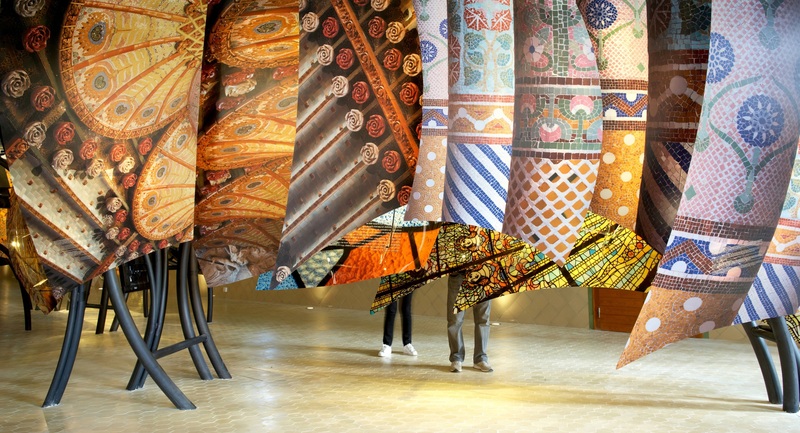 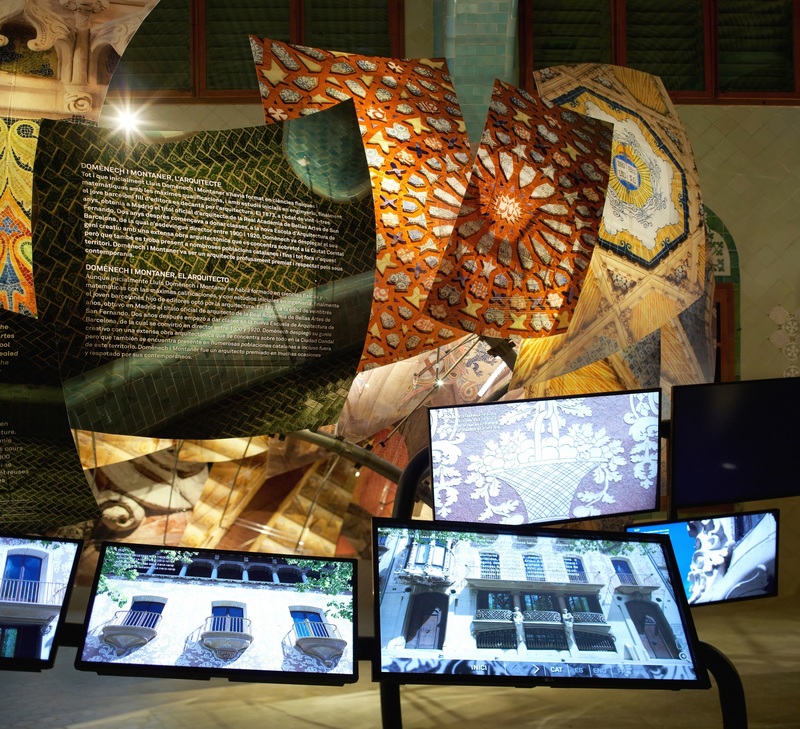 This museum project delves into the history of the Hospital de la Santa Creu i Sant Pau through the figure of its architect, Lluís Domènech i Montaner, and the architectural forms and details that recur throughout his work. 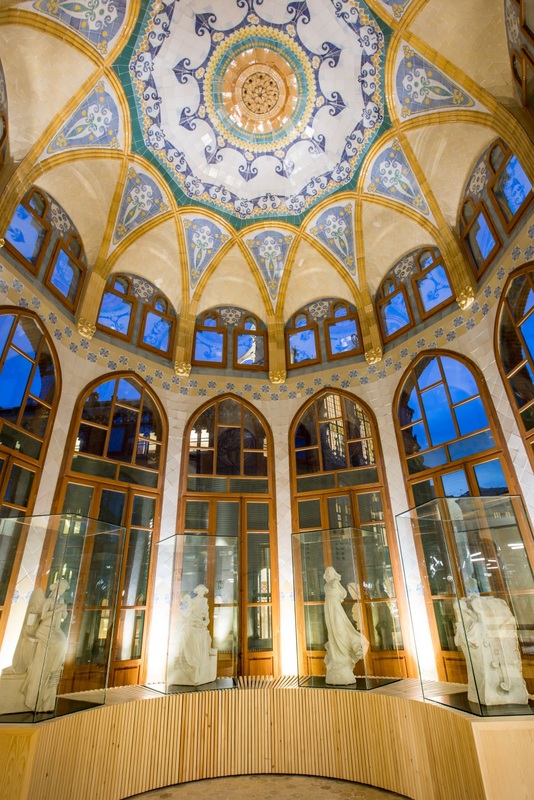 Lluís Domènech i Montaner was one of the great names of Art Nouveau architecture, along with Antoni Gaudí or Josep Puig i Cadafalch. 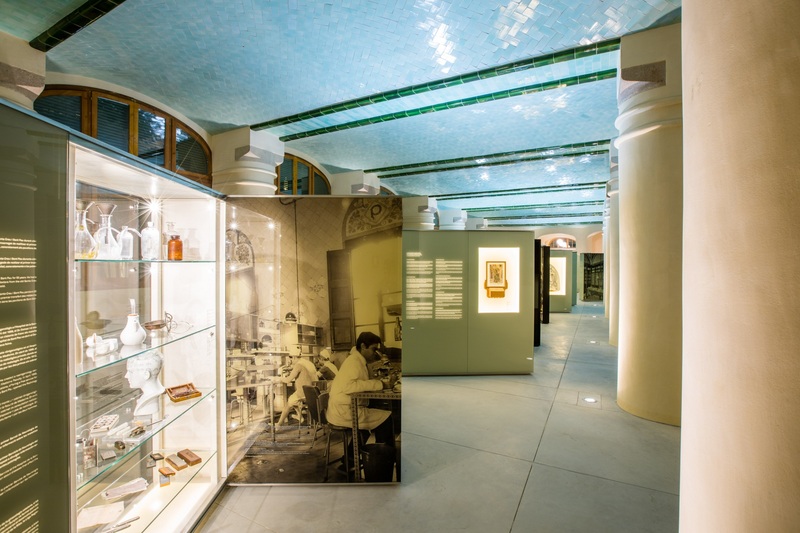 He was the author of the Palau de la Música Catalana and the Hospital de la Santa Creu i Sant Pau, both declared World Heritage Sites by UNESCO. 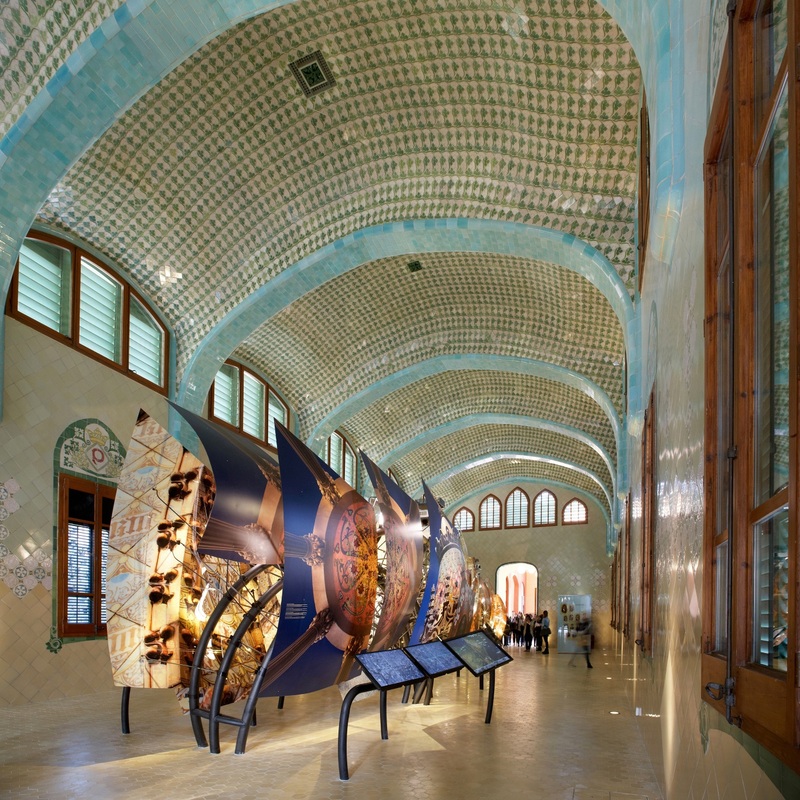 The Sant Salvador Pavilion, one of the many buildings located on the hospital site, houses this museographic intervention. 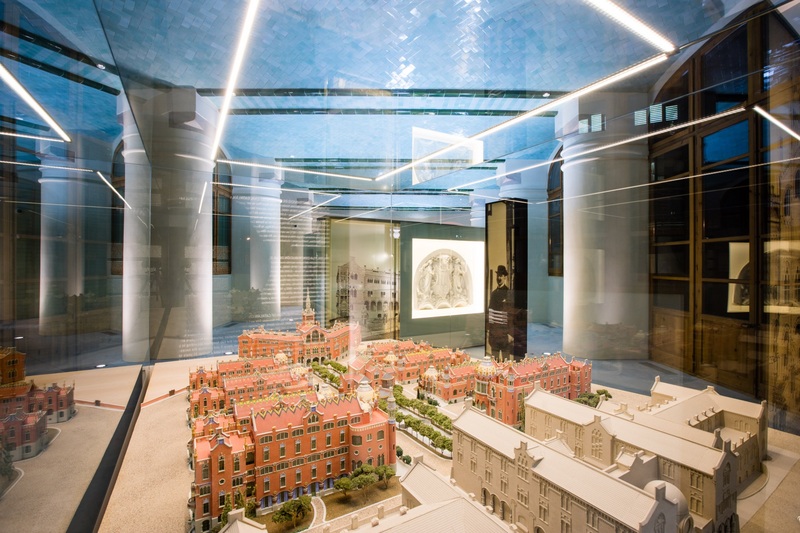 The project consists in distributing internal offices and storage spaces, changing the location of the lift and adding new leisure spaces. 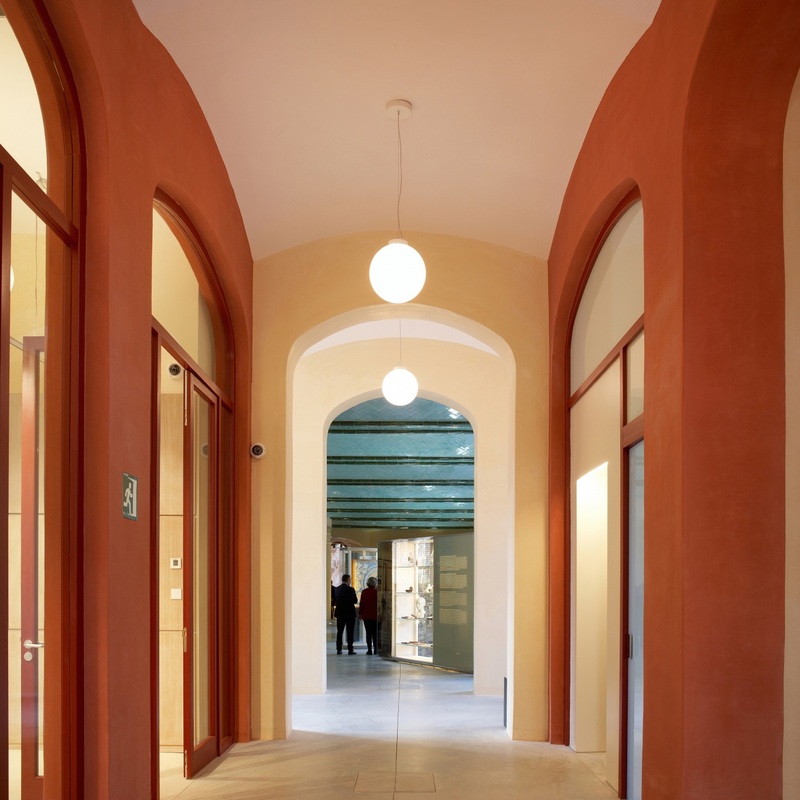 A new reception visitor reception are was also added, with natural lighting from a new skylight. 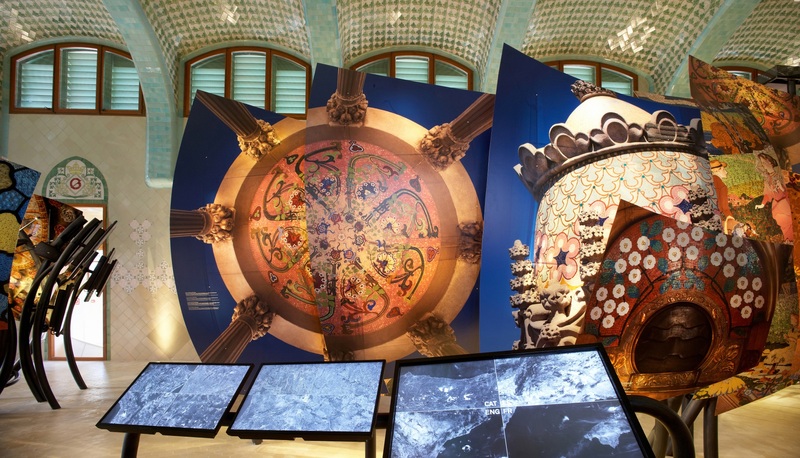 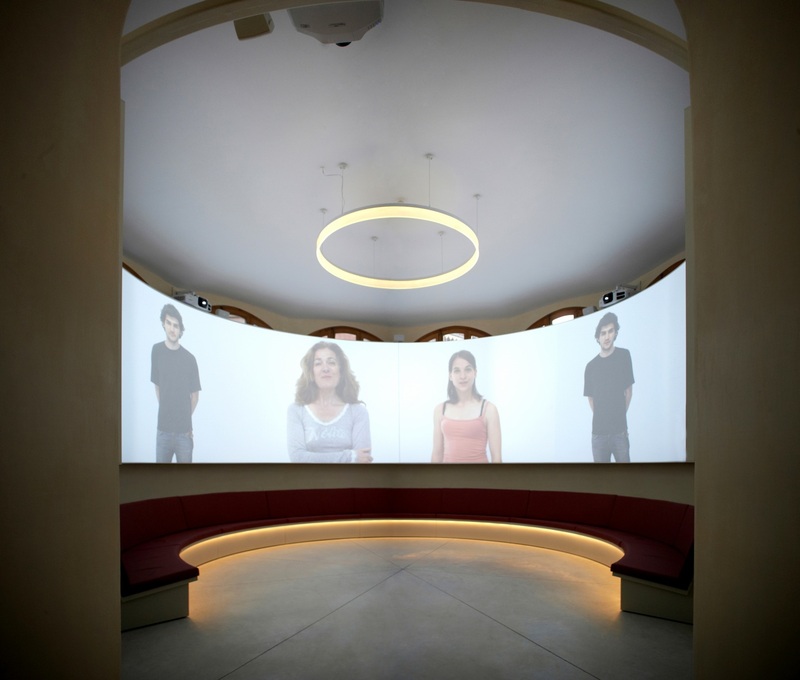 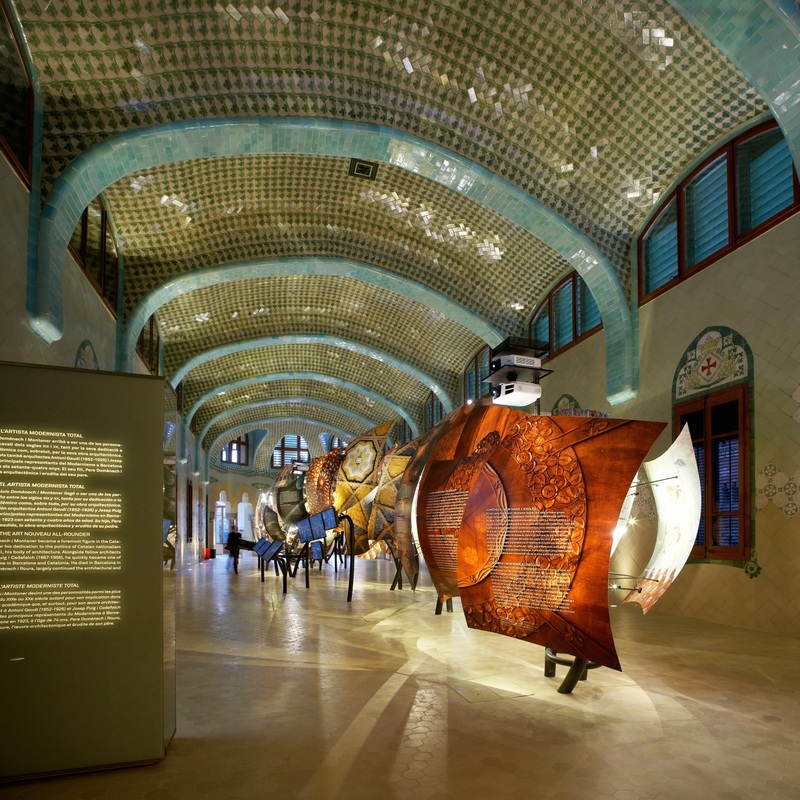 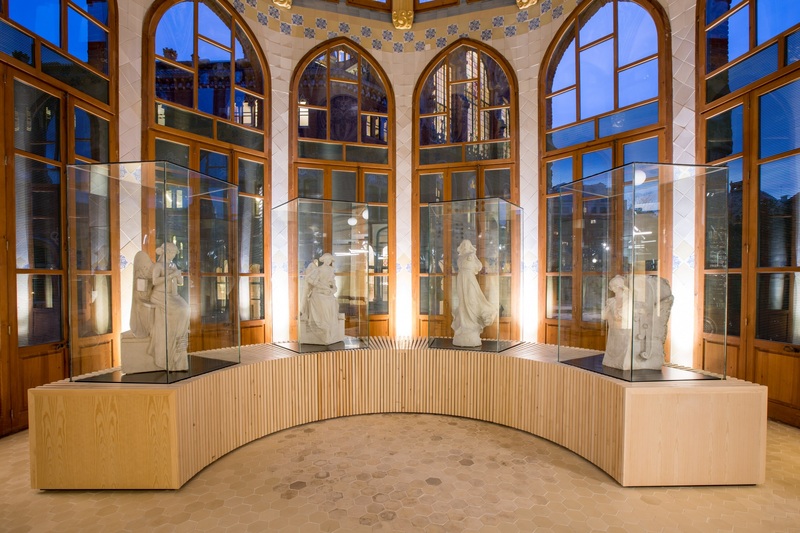 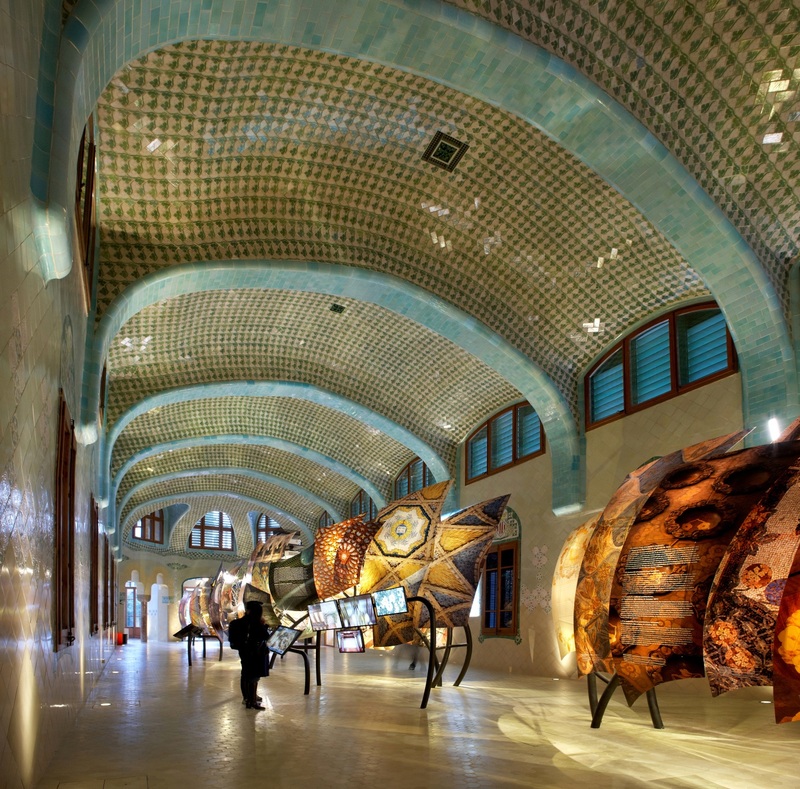 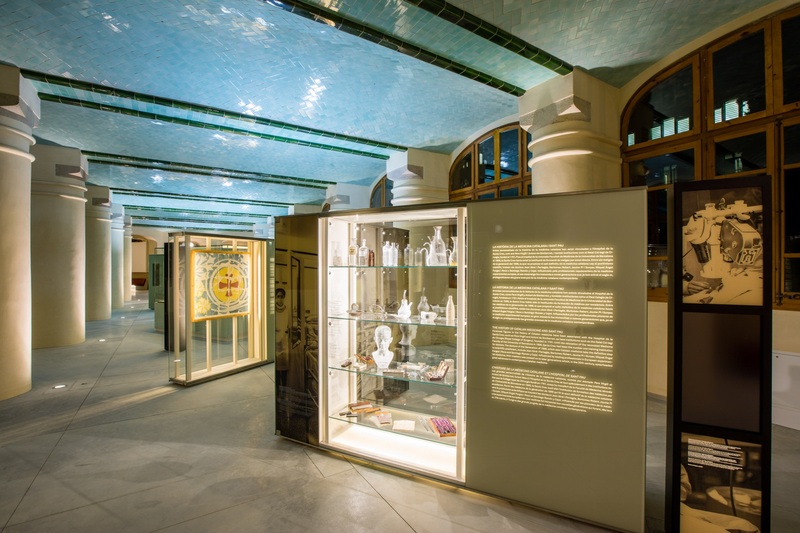 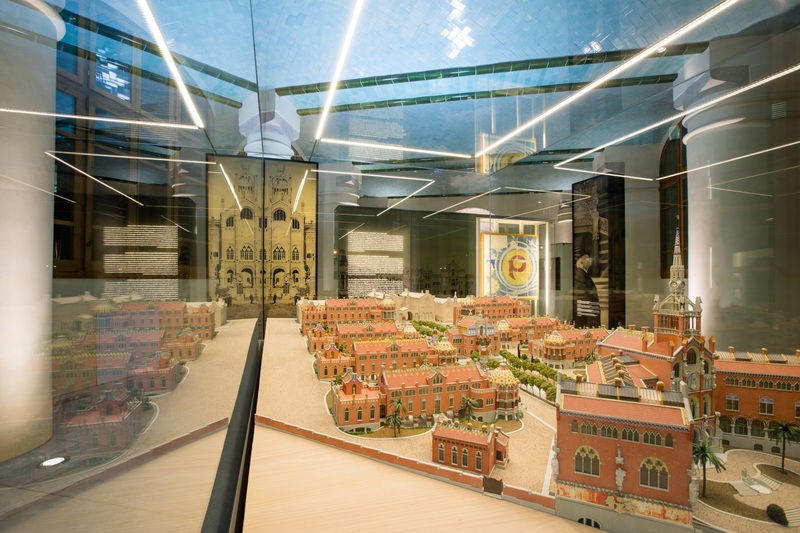 The basement level houses models of the architectural complex of the Hospital de Sant Pau and a 360-degree projection that situates the building within the context of the history of medicine in Barcelona, since it represented an innovation for the city in 1900. 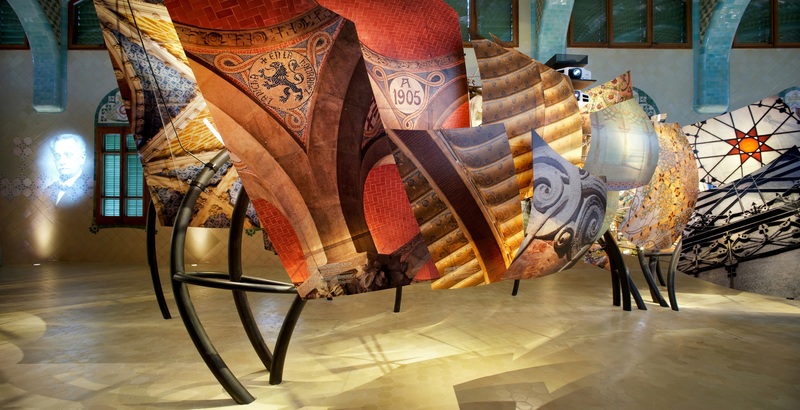 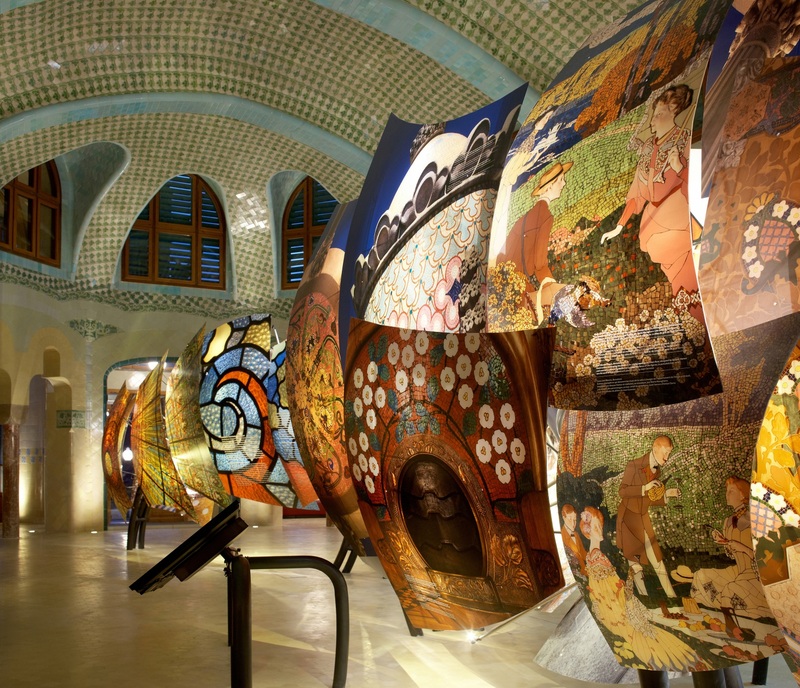 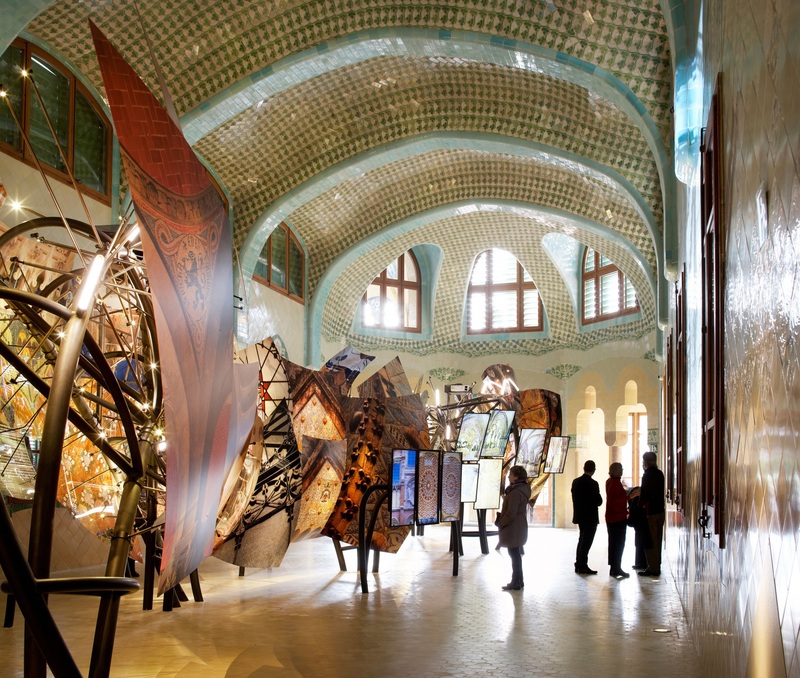 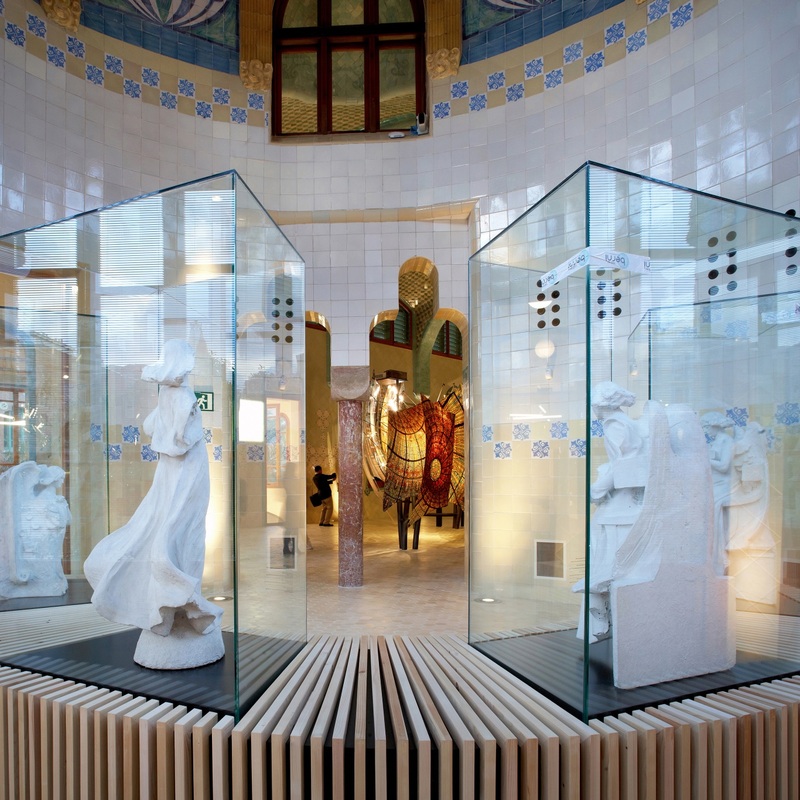 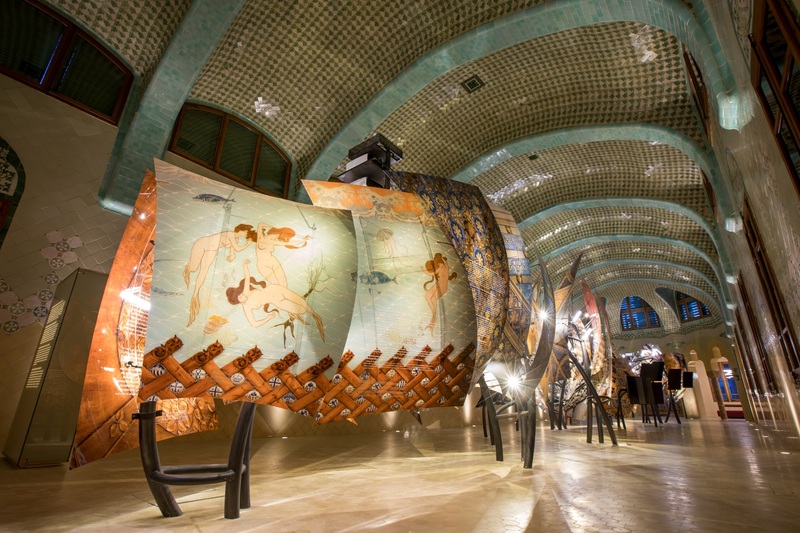 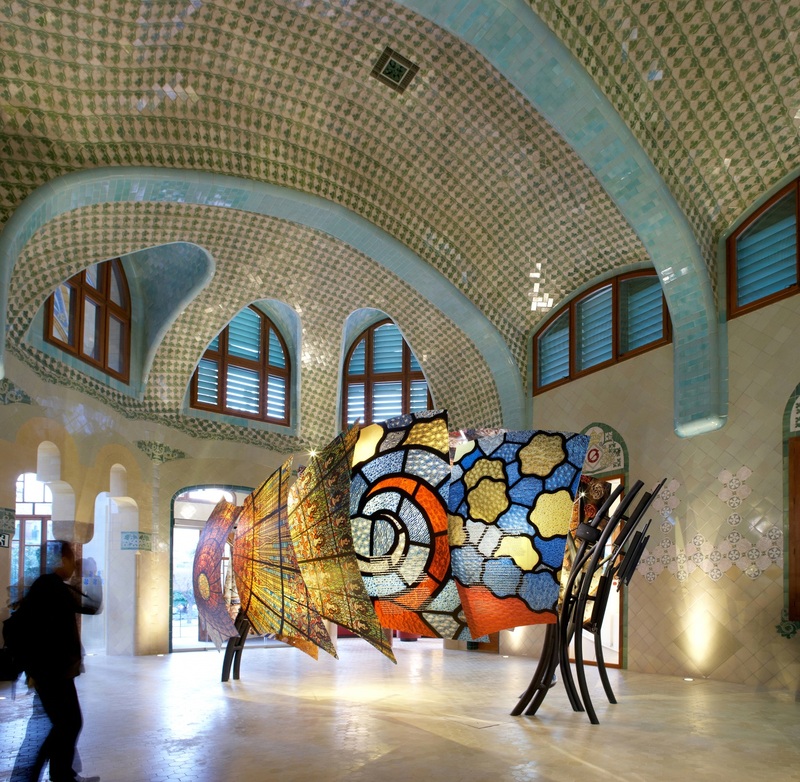 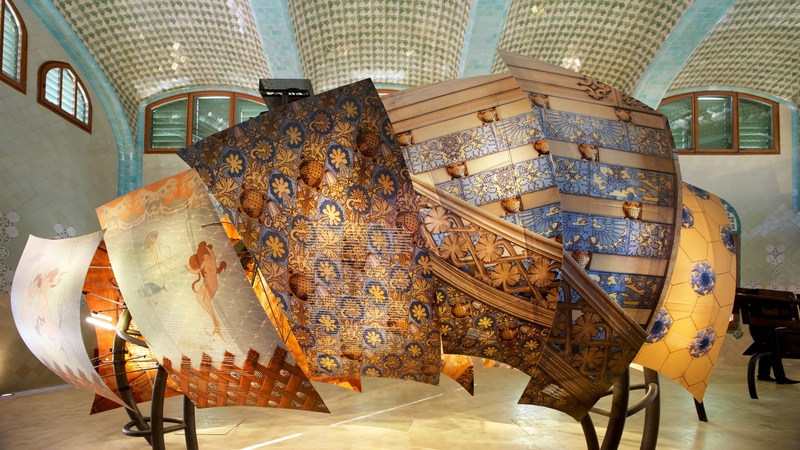 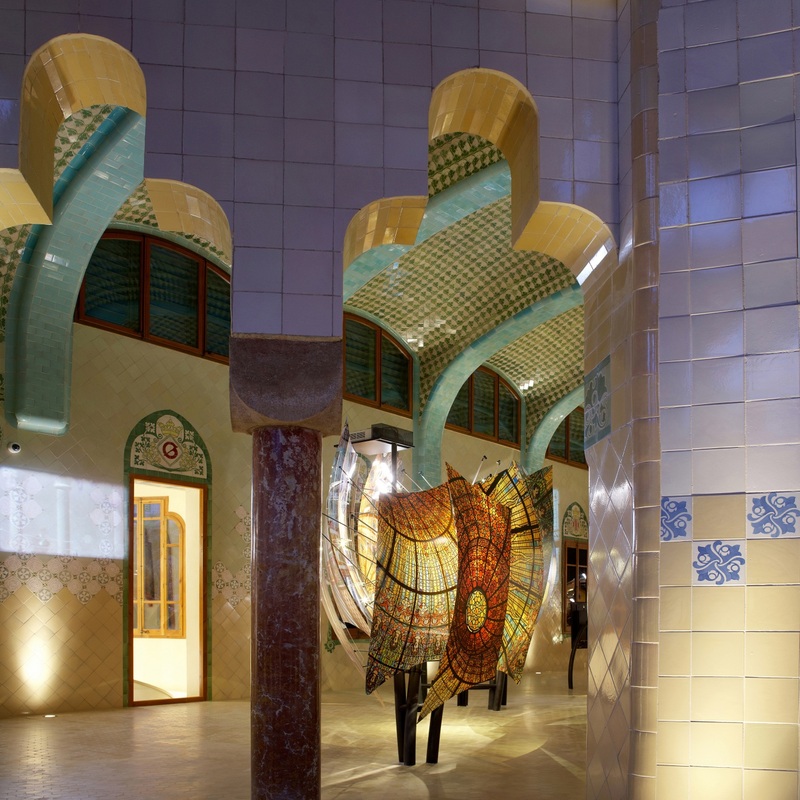 The upper floor is home to the most unique figure: a spectacular interactive installation in the form of a dragon – a fundamental leitmotif in Art Nouveau architecture, literature and art. 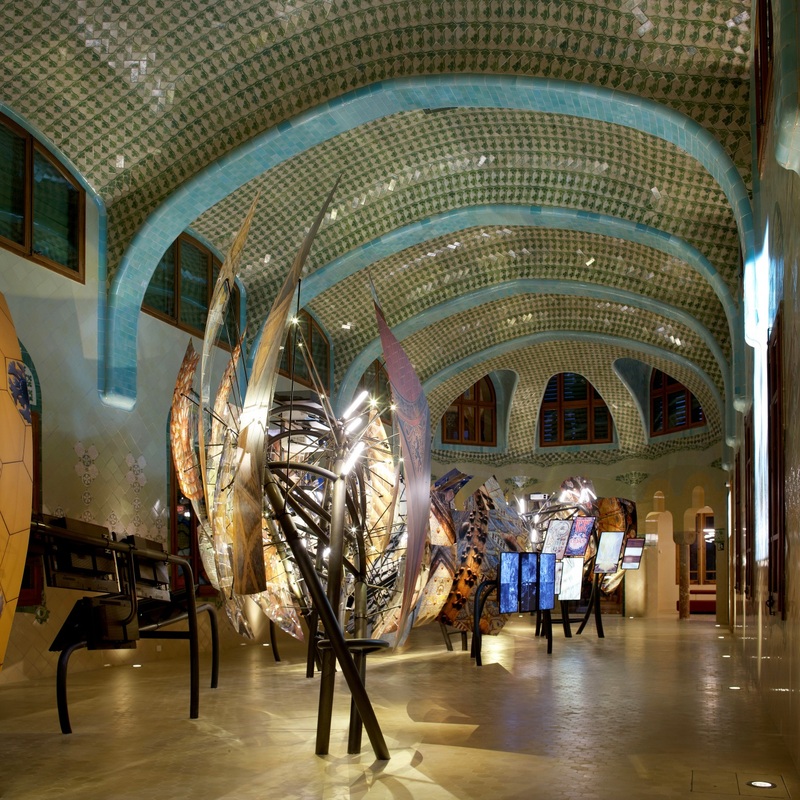 As an architect, ideologist and scholar, the creative energy of the artist is like a flame that takes shape in this monumental creature. 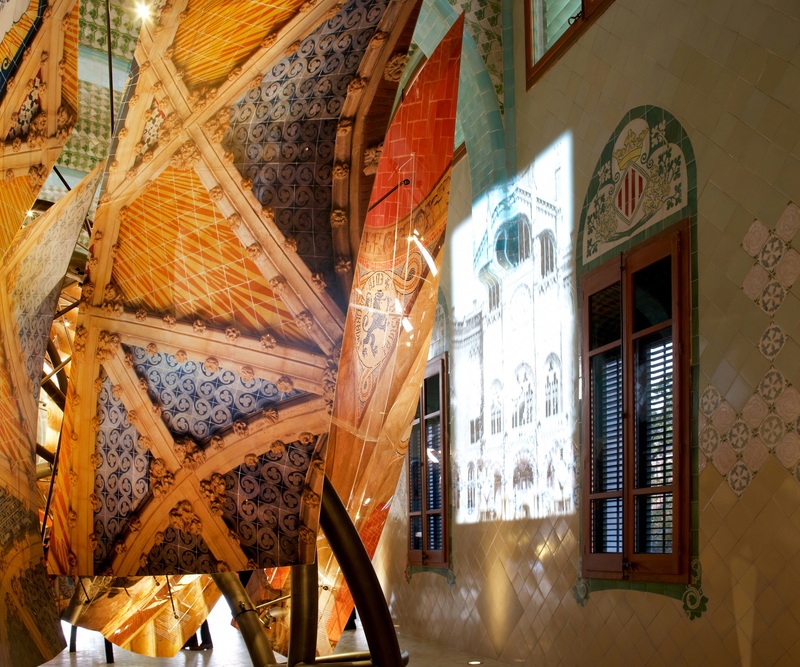 The panels that give it its shape are curved sheets that reproduce expanded details from his buildings. 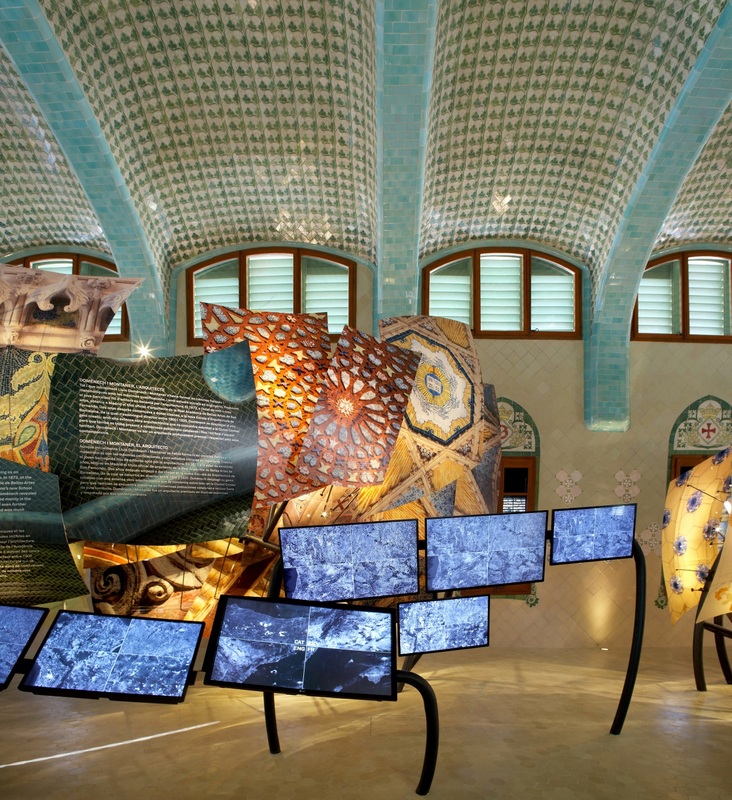 The locations and photographs of the buildings in question can be searched for on the large clusters of screens, which offer interactive maps. 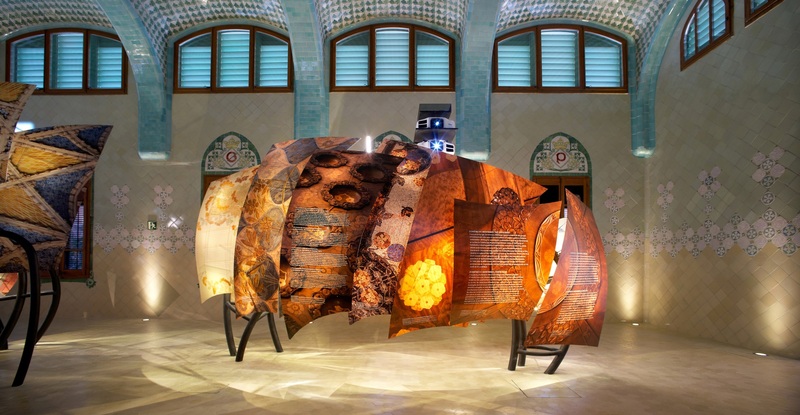 This is all attached to a tubular steel structure in the form of ellipses that also houses the lighting for all the elements and the projections on the walls.